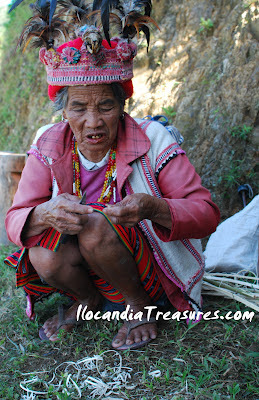 Before attending the Gotad Ad Festival in Kiangan, I went straight first to Banaue where the famous Banaue Rice Terraces is. It’s been a long time that I wanted to see this popular landmark of the country and I was fortunate this time. I arrived at 7am and it was still refreshing to see the surroundings. I alighted from the bus which I took from Baguio at 9pm which went down to Pangasinan, Nueva Ecija and Nueva Vizcaya. It was a very long trip since I started from Laoag but I was able to lie down at the very back seat of the Ohayama bus. 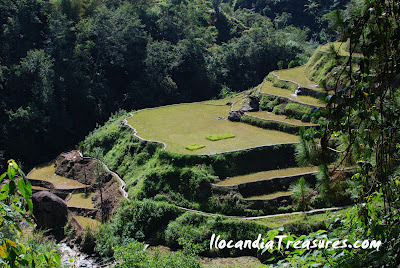 I took a tricycle to the rice terraces and it was so fantastic to see the view. Establishments are still closed, so I just headed to the viewing deck. I met an old woman who says she is 90plus years old. She makes some handi craft. I talked to her for a while and compared the life of now and then. I saw the traditional bike and tried riding on it. 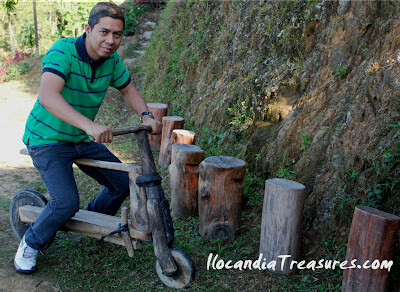 It was amazing to see an Ifugao wooden bike which you can ride downhill but it will ride on your back uphill. Then I went around then I decided to climb the high level of the terraces. I saw farmers whom I talked to. We discussed their lives as farmers in the rice terraces. They just plant only once a year so as not to destroy the fertility of the soil. Another problem is that farming is not appealing for the young people so they prefer to work for hospitality industry or migrate to other places. With this, there is a gradual erosion of characteristic steps which should require constant reconstruction and care. Another problem they cited was drought which made the terraces dried up. The Rice Terraces of the Philippine Cordilleras was inscribed in the UNESCO World Heritage List in 1995 that consists of fiver clusters of terraces. 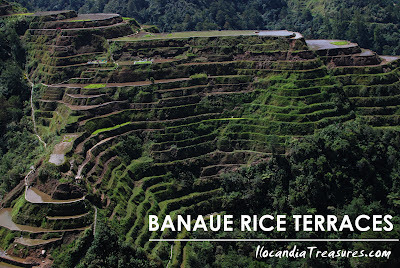 Banaue Rice Terraces is not part of the terraces inscribed at UNESCO World Heritage List because it scored low in the criterion of UNESCO because of the presence of modern structure. However, this landmark is considered as a National Cultural Treasure because it was carved into the mountains by the ancestors of the indigenous peoples 2000 years ago. Just imagine that and they might have worked largely with their bare hands. 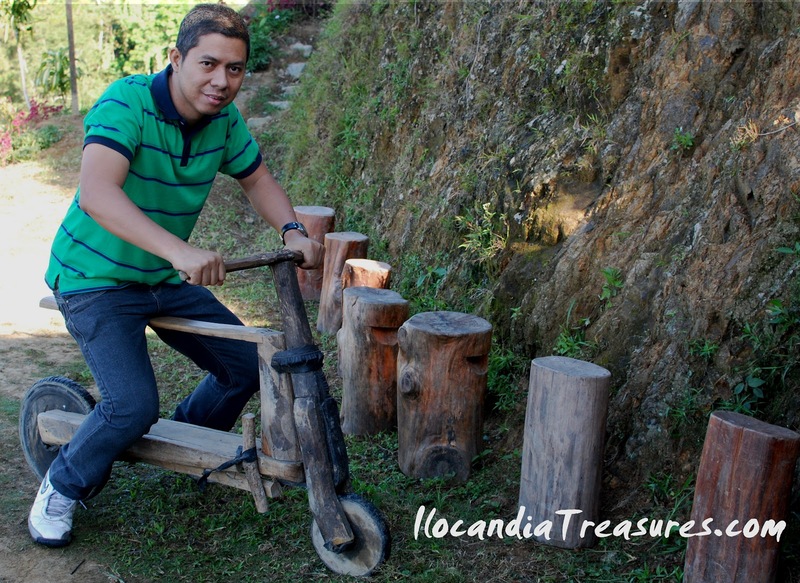 It is considered by Filipinos as Eight Wonders of the World comparable to the Seven Wonders. Other countries may have terraces like these but Philippines has the massive one and that if the steps are put end to end it would encircle the globe. 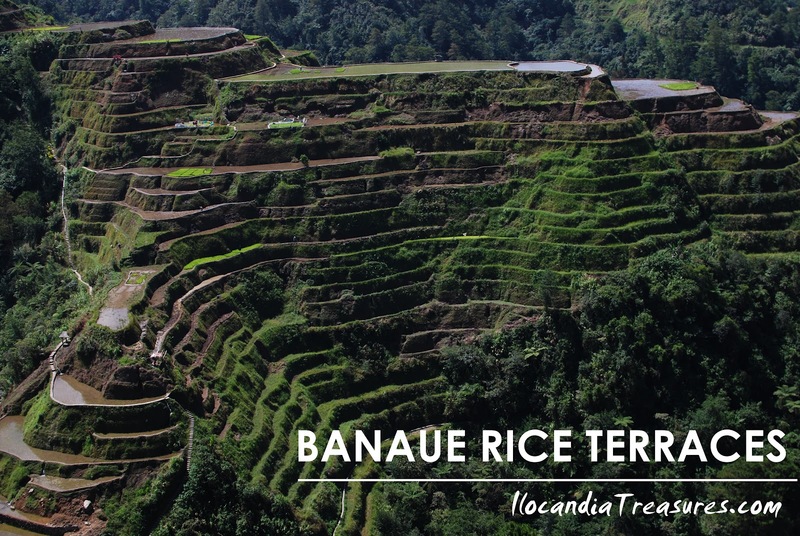 There are five clusters which is composed of Batad, Bangaan, Hungduan, Mayoyao Central and Nagacadan.